Its been more than the “next day – Part 2” threat on this blog post, but as I said, we all have to do a little work from time to time, and so I’ve been swamped all of this past week. Apologies for the delay peeps. Now, where did we leave it last? Was it the “Away They Go” stage, with some video footage. That’s it, that is exactly where we left it, and if I remember correctly, me making some promises to add to the content. Well, here it finally is. Now that we are approaching the reason for the shorter ride, flashback happened! Wasn’t Rufina saying something about some school in some village. Something she is involved in, some sort of CSR? Ah ha, rusty brains get into gear, just like my well oiled bicycle gears, and it all comes back, albeit in bits and pieces. This Rufina character, was the reason that the ride was cut short, cleverly disguised as the “popular pack vote”, remember? If you recall, the only one who know where we are all headed was this buddy of mine, Rufina, and let’s just say, she didn’t lead the pack as she should have, I did. Pretty stupid, figuring that I am riding blind, not knowing where to turn off. Fortunately, I did stop to record those video clips, else I would have been halfway to Alibaug! Still I caught up to the pack, post footage, and a couple of the guys had stayed behind so I didn’t miss the turn off to Awaas gaon. As we approach the school, as yet unnamed (that’s how new it is), we encounter the reception committee, headed by the Principle, a couple of teachers, the school helper (read janitor), and two volunteers. Introductions are made, not sure how many will remember names, etc, I certainly don’t. As the breakfast (bribe promised the previous day) is being prepped, we are given a tour of the premises. What really strikes is the cheerful colors, the easy layouts, the ample space and the originality of this Primary School. Rather than me talk anymore, let me use visuals. The layout of the premises is spacious, the color schemes are bright and cheery, the surroundings green, plenty of natural light. The covered patio is spacious to say the least, perfect for assemblies, especially for the delicious breakfast of chai, coffee and vada pav we were served. All the misgivings of the missed opportunity of a nice long ride simply vanished, what with the dedication of the school principal and staff and the warmth with which we are greeted, made welcome and shown around, what quite visibly is their pride and joy. Indeed, I was quite inspired by what I saw, and kinda was compelled to photograph and videograph what I was seeing and experiencing. Perhaps, somewhere deep down in my subconscious, I wanted to share this with a wider audience. As I completed this walkabout spread over the ground and first floor premises, I arrived back into the patio, to discover that the two volunteers, we giving the cyclists, an overview of the Cyclink project. I quickly on impulse, thought that I should document, and therefore I missed the beginning of their presentation. Bear with me as if figure out how to embed large video into this site directly, however, for now to maintain continuity, I’ve added this video to my Youtube channel. 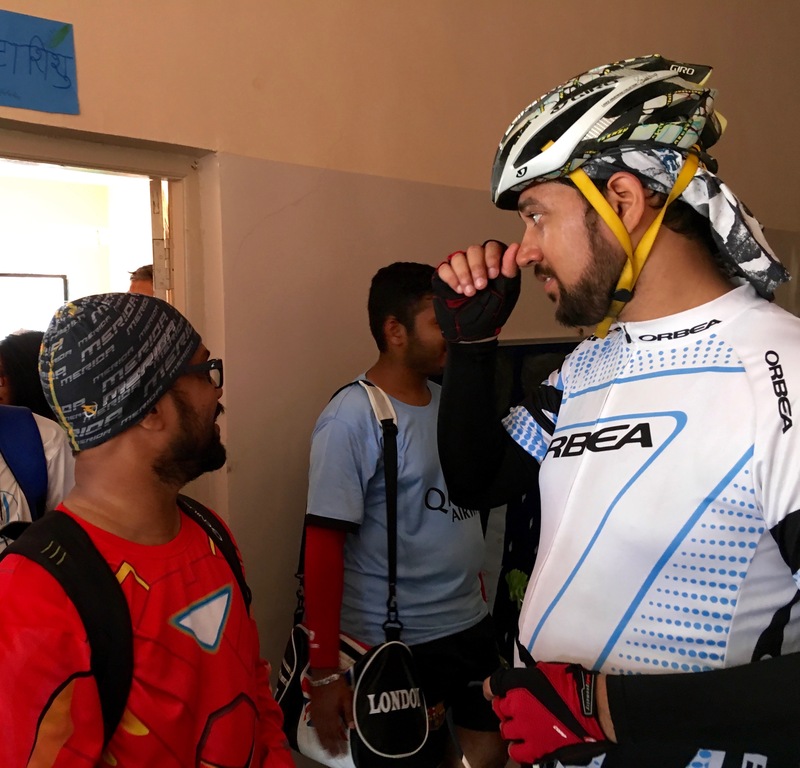 And therefore these blogs, don’t merely cover the camaraderie of the cycling fraternity, but also of what only holds promise to become the CSR of the cycling fraternity, and the ISR for us as individuals. I’m just immensely satisfied that I am able to bring this to you. Thank you Rufina, for this opportunity, and no hard feelings of being deprived of that Sunday longing of a nice long ride. Rufina, unfortunately had to leave our merry pack, and return to Bombay due to another commitment (yes to me its still Bombay, NOT Mumbai). Time to leave, so a quick round of heartfelt thank yous and as was expected, we all huddled for a group photograph, with yours truly being the default photographer. The rest of us proceeded onward to Alibag, but that is to be captured in Part 3, so patience my friends. For now, let’s understand better, just what this School Project is all about, and who exactly is behind it. Many of us hopefully, but let’s find our just a little about some individuals, who are spearheading not just this school project in Awaas, but other similar initiatives in the entire region. I called Rufina later that night to find out more…….and here is what I found out, a story worth sharing. To do justice to the initiative and to hear from the horses mouth, I now switch my narrative, to the Q & A format. Q: Hey Rufina, this was a great visit, thanks for organizing. Please tell me a little bit more about this initiative, how you’re involved, who else is behind this, and what you’re expecting out of us? A: The Project is aptly named CYCLINK since it links the cycling fraternity to CSR. It is part of Global Foundation’s Pedal for Peace program that promotes cycling as an alternate means of transport and helps in creating a cleaner and greener environment. CYCLINK is aimed at reducing school dropouts among girls and contributes in nation building and is in line with the PM’s thrust on “Beti Padhao Beti Bachao” initiative. Global Foundation is the CSR arm of the Global group of companies, promoted by Manoj Tirodkar, having two listed companies on the Bombay Stock Exchange & National Stock Exchange. Both Global Tele Systems Limited and GTL Infrastructure Limited are focused Telecom plays. 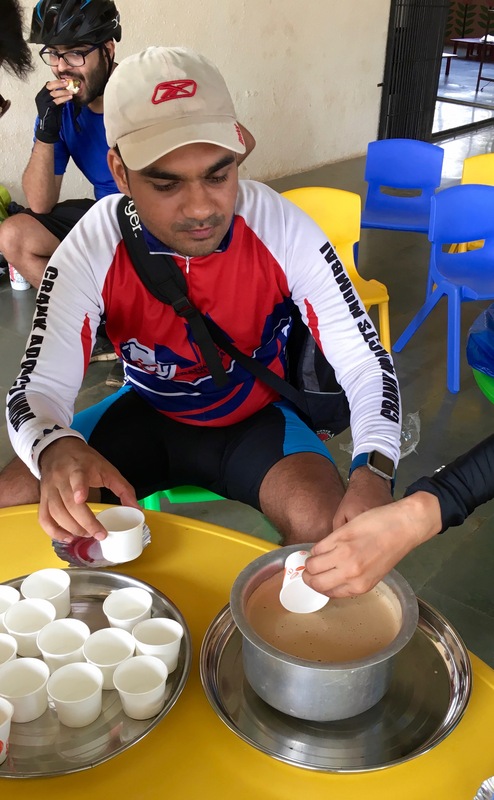 Global Foundation has been conducting the Pedal for Peace cycling event of hundred kilometers within the city of Mumbai, for the past five years. This year we want to align it a little more towards a social cause of donating cycles to school girls from under-served communities and areas. 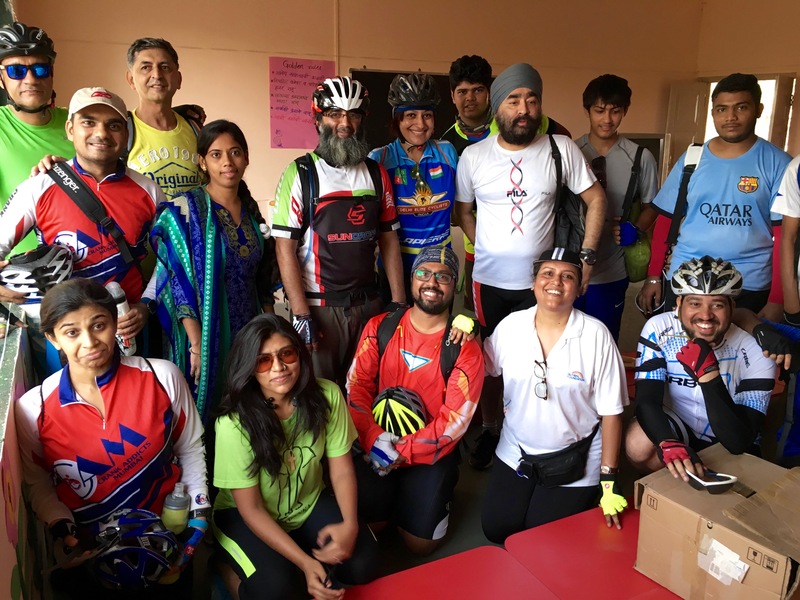 We were inspired by a group of cyclists who have been unassumingly and quietly refurbishing cycles out of their personal funds and donating the refurbished bikes to school girls in the Vasai-Virar region in the hinterland of Bombay. 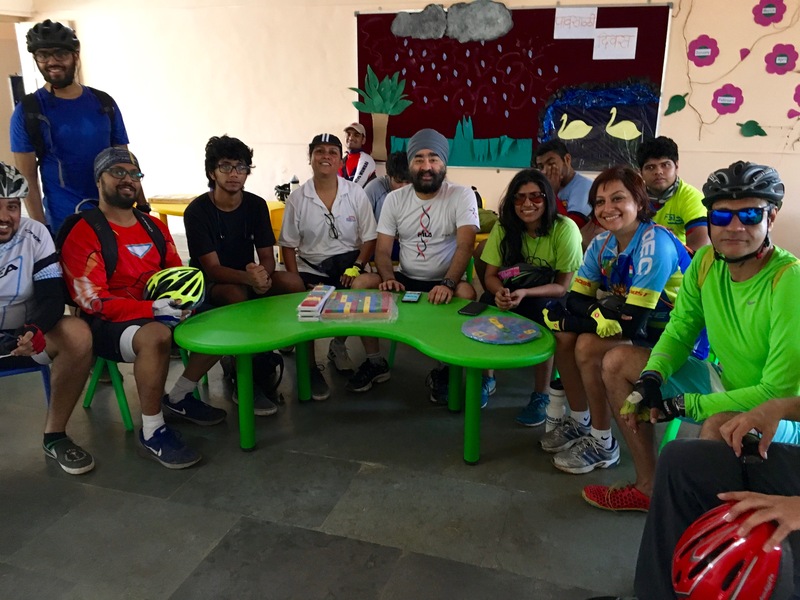 Global Foundation decided start the CYCLINK project in Awaas, just outside Alibaug as we have recently renovated and built the primary school at Awaas. We have ambitious plans to extend this to schools in Kudal & Devgad in the Ratnagiri district, where we have been working for over 15 years now. Effectively this is our beta or pilot project. Q: Say more about how this project contributes to the prevention of girl dropouts. Q: What kind of help are you looking for apart from the usual (donations). Visits, participation, teaching? Q: How do people or for that matter organizations interested, contact you? 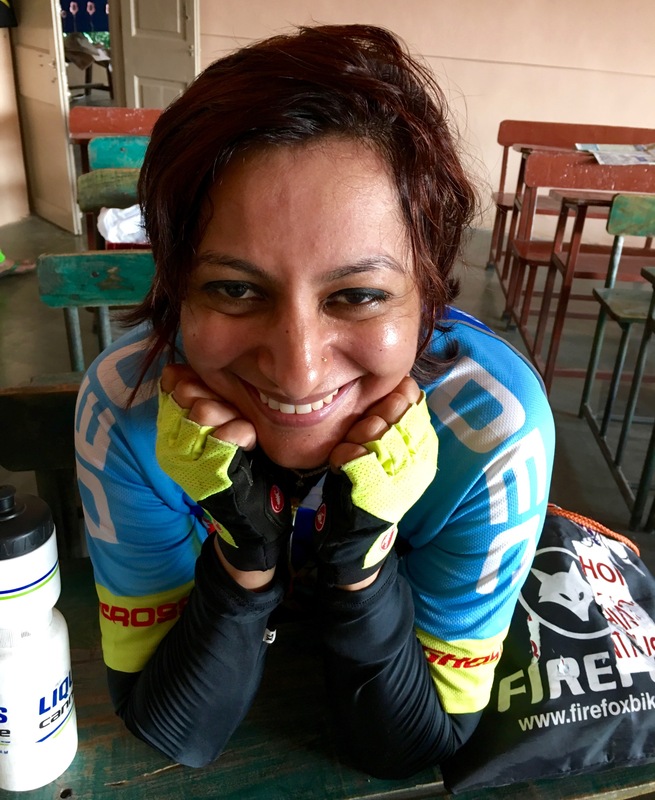 Watch out for the final leg of the Sunday Ride – With a Twist, Part 3 of the series of blogposts. Part 1 – Available Here. Oh wow! Thanks for so succinctly put the entire project, ethos and plans for the CYCLINK project in perspective. I really hope we can do justice to this cause and operationalise our plans for donating cycles to school girls. Truly appreciate this effort of yours which will go a long way in sharing with people our passion for improving the quality of education for the under-served communities in our country. We are just a drop in the ocean! I how more and more are inspired to do their little bit to make the world a little better each day. Cheers! Thanks Rufina. I’m really honored to helping in spreading the word.